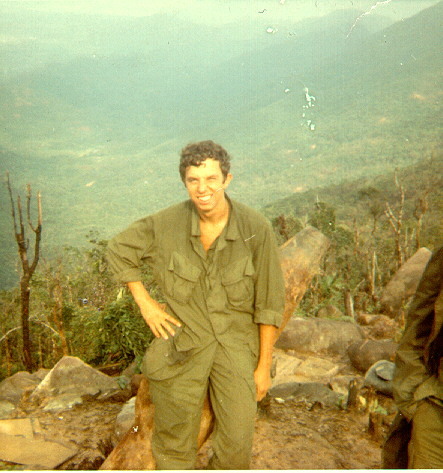 Steve Laktash served with H&S and with Charlie Company during 1967 and 1968. He can be reached at SGLRECON@aol.com using this automatic email form. 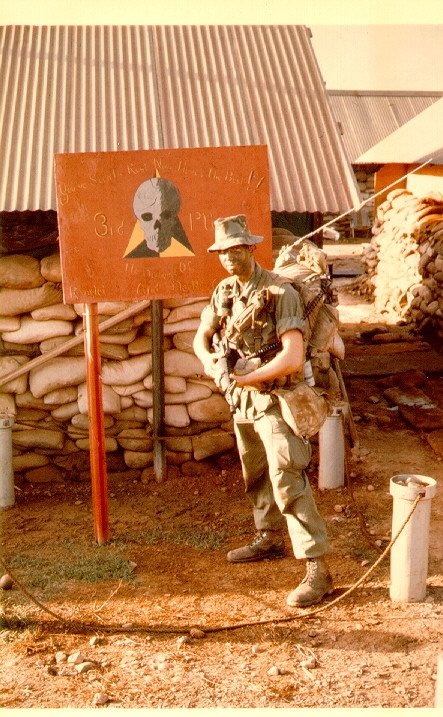 Me after being on Hill 674 for a few months. 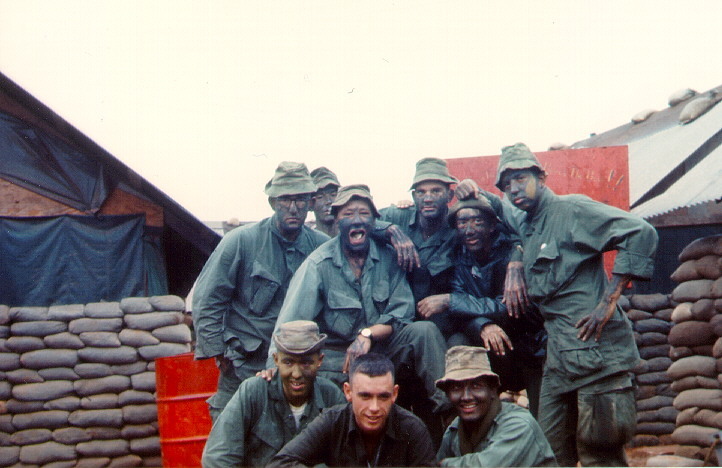 The grunts who guarded the hill loved the hair. 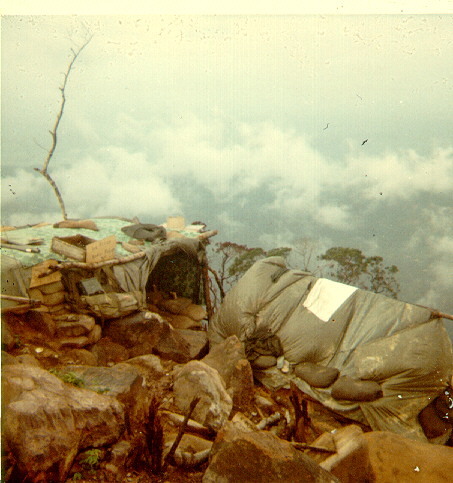 Hill 674. Foxtrot comm relay. Radio on the left, kitchen/supplies on the right. "Smitty". Team members at our new location in Quang Tri . 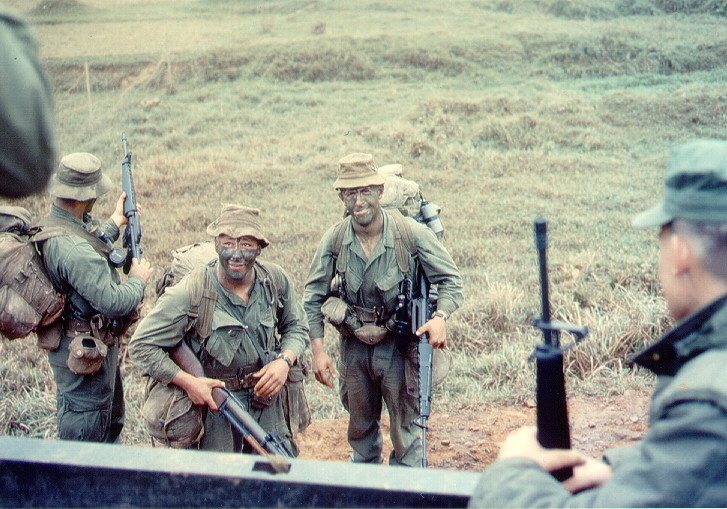 Patrol headed for the "Backyard" near Dong Ha. Drop off along Hwy 9. George (on right..last name?) and me, along with a friend. 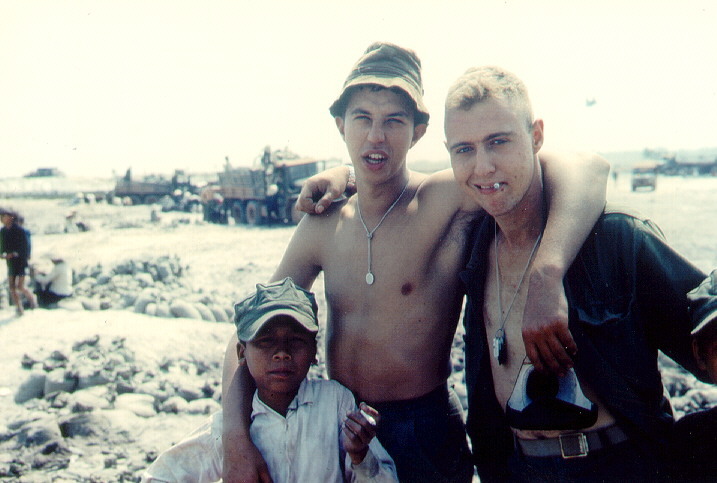 Filling sandbags at Quang Tri. 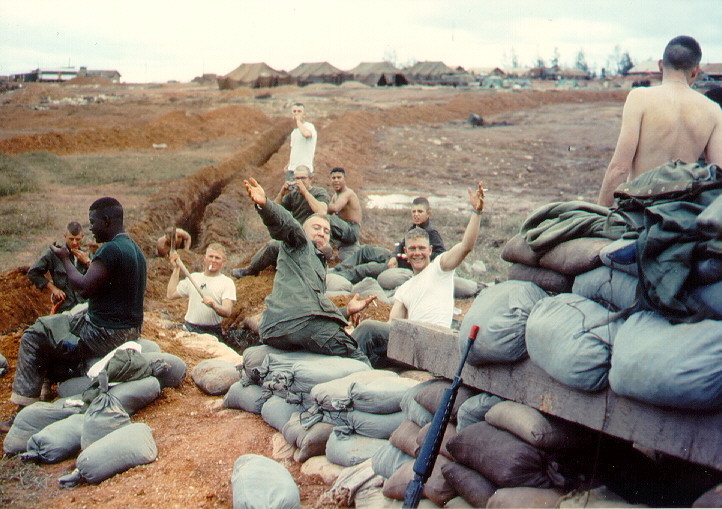 Apr '68. 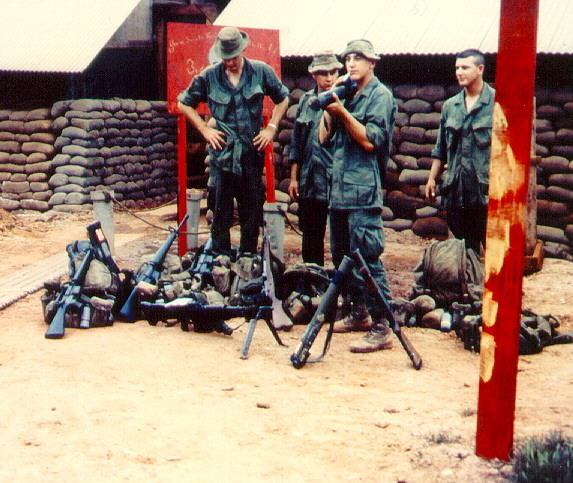 Working on new defenses in 3rd Recon area at Dong Ha, early '68. Getting ready for a heavy patrol. Took 3 LAAW's along. 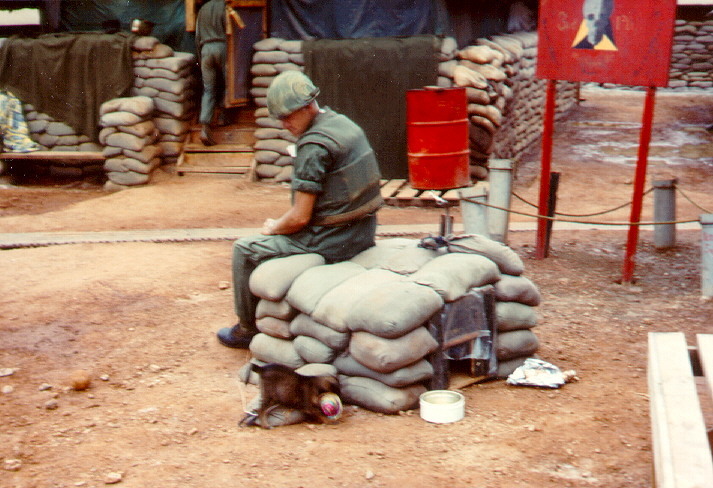 Our mascot puppy and his "bunker" at Quang Tri. 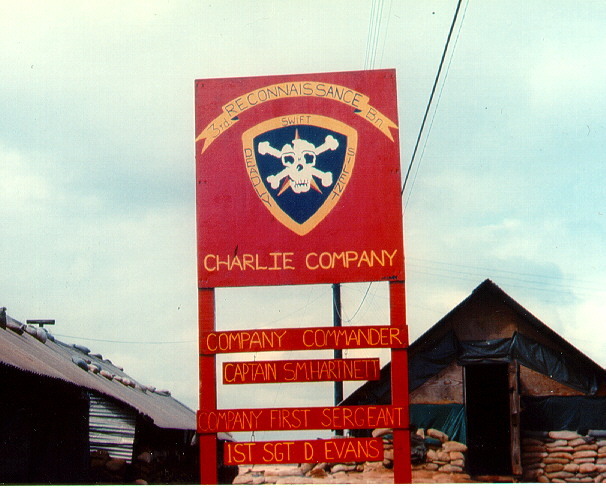 Company Sign at Quang Tri. 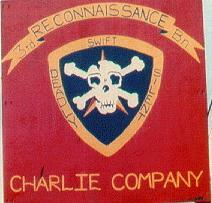 Cutout from the Company sign used in battalion gallery. 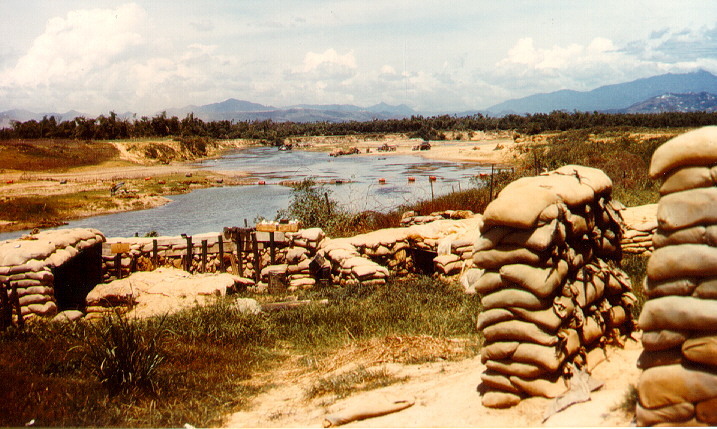 Cam Lo river defensive positions around the bridge near Dong Ha. Looking (direction). Played grunt for a couple of weeks. 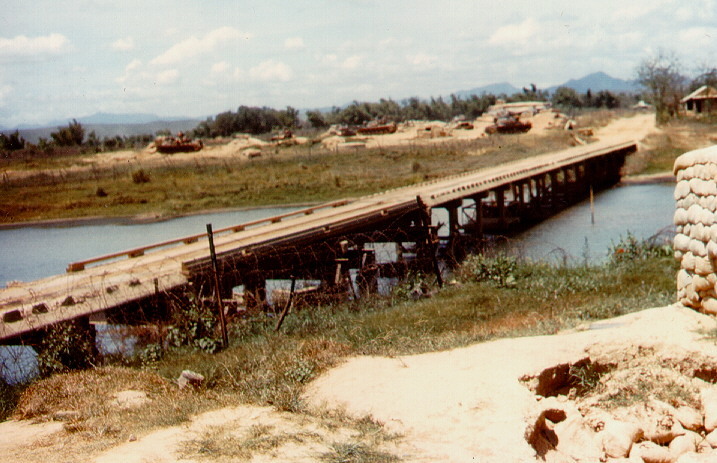 Bridge over Cam Lo river north of Dong Ha. 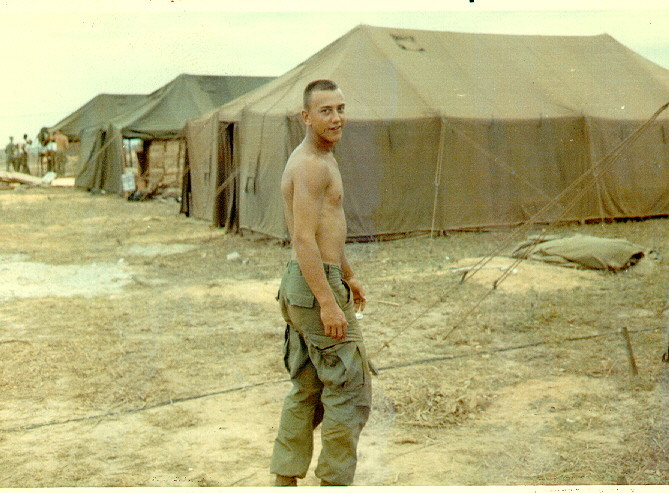 May '68. 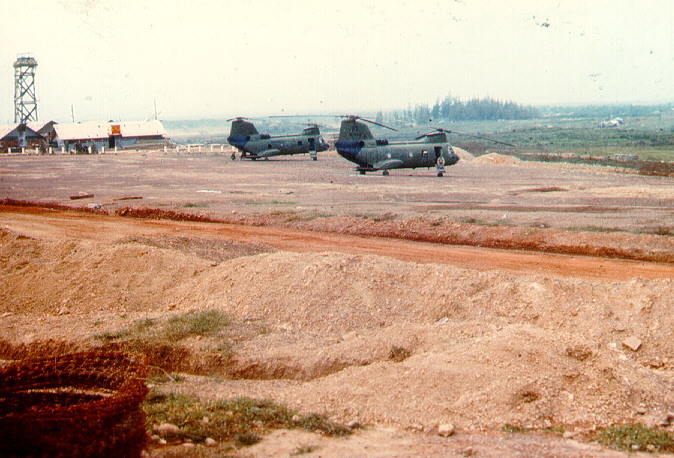 The recon helipad at Dong Ha. Intel shack in the background . 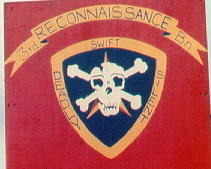 Cutout of battalion sign used above.